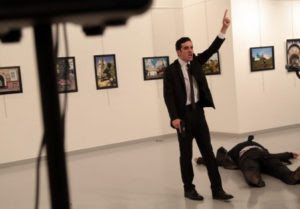 Russian ambassador to Turkey, Andrey Karlov, was killed by gunmen in Ankara. The gunman has been neutralized. A Picture published by the Hurriyet daily showed the suspected gunman.